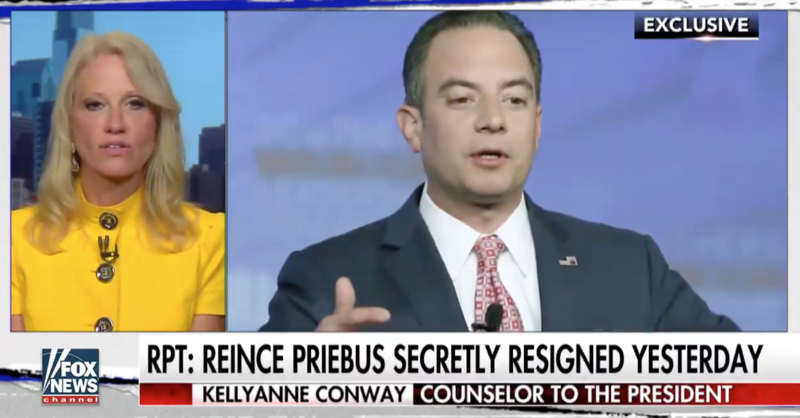 Kellyanne Conway appeared on Fox News Friday to discuss the firing of now-former Chief of Staff Reince Priebus and took the time to comment on the singularity of President Trump as a United States president. Conway sung the president’s praises while commenting on the departure of Priebus who says he’s “always going to be a Trump fan” despite his recent firing. This is the type of unconventional White House the President is running and it’s the type of White House that got Scaramucci so excited and eager to join in on the great changes in America that POTUS is seeking to enact.